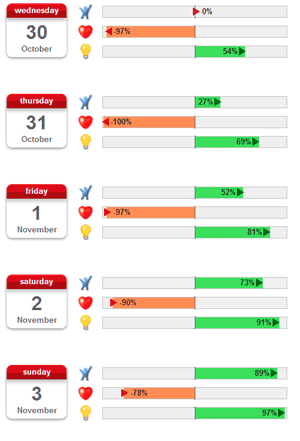 Practical fertility calculator and ovulation calendar to calculate fertile and infertile days. Do you want to know when will your next period start? Planning a family? Do you want to know fertile and infertile days? The calculation of your fertile days will help you. Enter the date when your period starts, the length of your period cycle (usually 28-30 days), and the length of your period in your Period calendar. LadyCalc.com is a practical calculator to calculate your fertile and infertile days, which is available to you for free. A woman’s period cycle lasts usually 30 days, in some cases 25 up to 35 days (can be a few days shorter or longer). Only a few days within the cycle are fertile. In short, pregnancy becomes most likely in the middle between two periods, less likely shortly after the period and impossible before next period. 10-17 days since the start of the period are considered fertile days. is an event when an egg is released from an ovary. This happens on the 12th day of a 28-days period cycle (1st day is the day when the period starts). The egg is capable of being fertilized 24 hours, maximum 72 hours after ovulation. Fertile days they begin 2-3 days before ovulation and end 1 day after ovulation during a regular period cycle. Ovulation = very fertile time, even 2-3 days after ovulation is the egg capable of being fertilized. Infertile days start 9 days before the next period. 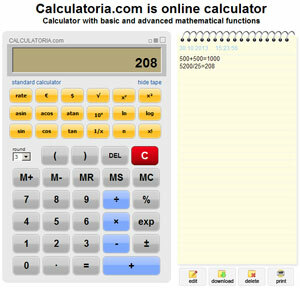 Our hint: If you need an online mathematical calculator, we recommend using www.calculatoria.com. The calculator not only calculates common math problems, but also converts currencies, calculates percentages and on top of it has a tape, where you can record your calculations online.